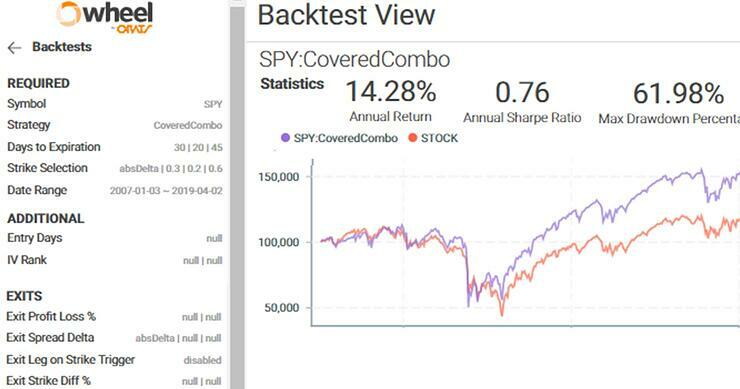 "When volatility surges, bid-ask spreads widen to extreme levels, according to data from Options Research & Technology Services show, a volatility research and options data provider." 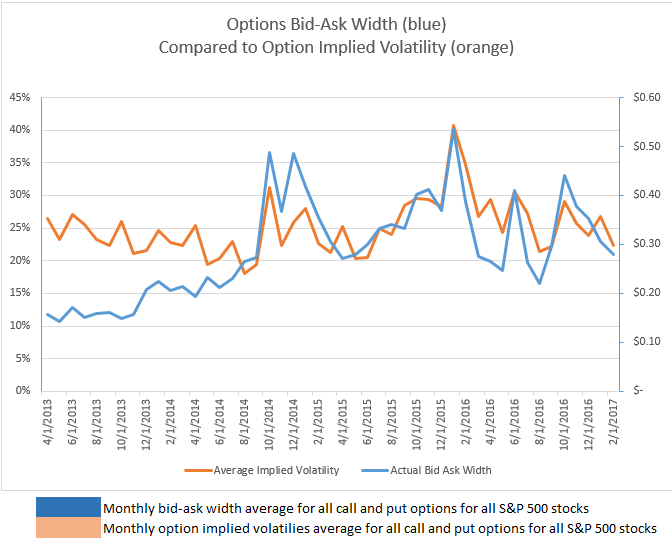 As this graph shows, the options bid-ask spread spikes (blue line) when the options implied volatility spikes (orange line). We expect some widening with increases in implied volatility but the increases far outpace expected widths based on predictive models. The data is from bid-ask spreads from near-term, around the money options quotes of the component stocks from the S&P500. The results show that in tumultuous times, when reasonable options bids and offers are needed most, the market may not be there. One of the services we provide to our clients implementing our systematic, backtested strategies, is execution help. 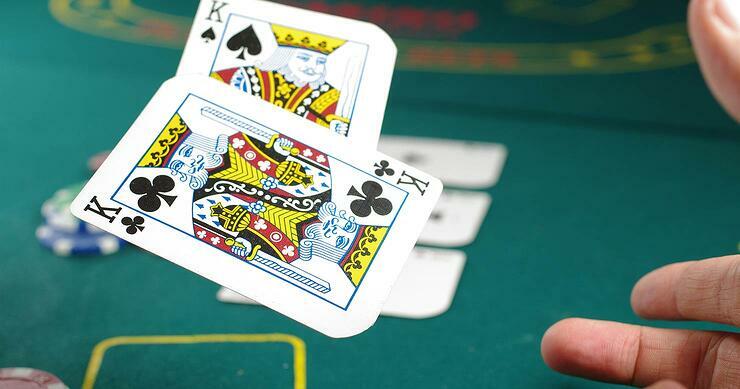 With our deep databases of market activity, we can predict the best ways to execute a strategy. A link to the Wall Street Journal story is here and a link to the ORATS site is here. Please contact me to find out more about the data used in the graph or to utilize our API to construct the graph.